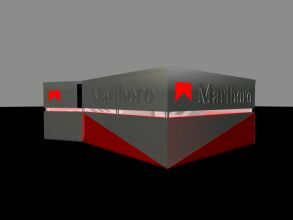 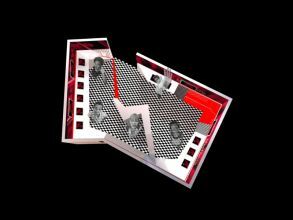 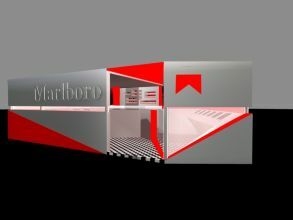 The project is a proposal for a portable installation which would communicate and promote the actions and the products of Marlboro. 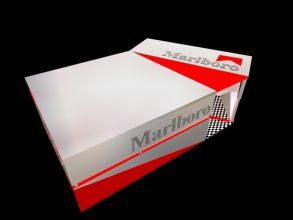 The installation has the form of a box (pack) which is a uniform volume with a slight wrinkle at the point of the entrance. 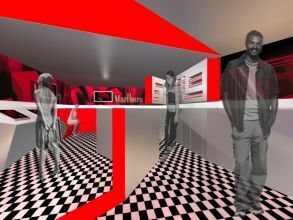 In the interior, around and inside the structure there are monitors in order for the visitors to use interactive applications, whereas in the center an information point is placed. 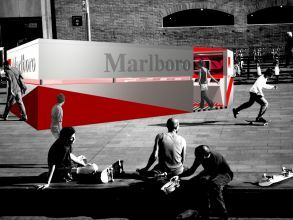 A horizontal slot on the perimeter of the installation lets the light in during the day and glows during the night.